Arterial occlusions refer to a type of diseases mainly characterized by artery stenosis or occlusion. They are frequently seen in peripheral arteries, usually giving rise to the ischemia or necrosis of important distal tissues or organs, etc. With the advent of population aging, arteriosclerosis has become the pathogenesis basis of most occlusive diseases. 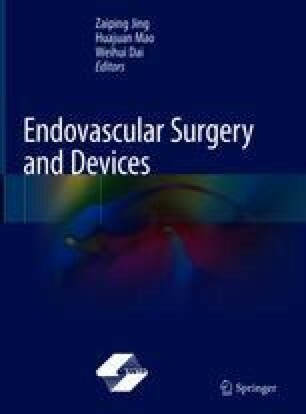 This chapter mainly introduces clinical manifestations, endovascular surgery process, and intraoperative observation points of carotid artery stenosis, subclavian artery stenosis, renal artery stenosis, and lower extremity atherosclerotic occlusive disease.